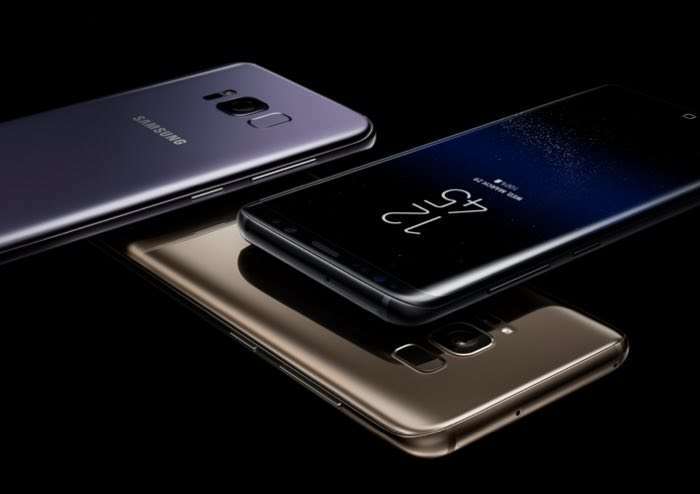 Samsung has announced its new flagship smartphones the Samsung Galaxy S8 and Galaxy S8 Plus and the handsets come with some impressive specifications. The Samsung Galaxy S8 features a 5.8 inch Samsung Infinity Display with a Quad HD+ resolution of 2960 x 1440 pixels and 570 pixels per inch. The Galaxy S8 Plus comes with a 6.2 inch Samsung Infinity display with a Quad HD+ resolution of 2960 x 1440 pixels and 529 pixels per inch. Both handsets are powered by a Qualcomm Snapdragon 835 processor or the Samsung Exynos 8895 processor depending on the country. The Samsung Galaxy S8 and S8 Plus comes with an 8 megapixel front camera for selfies and two 12 megapixel rear cameras for photos and videos, both handsets are IP68 certified for water and dust protection. Other specifications on the new Samsung handsets include USB Type-C, Bluetooth 5.0 and Android Nougat, the S8 features a 3000 mAh battery and the S8 Plus a 3500 mAh battery. You can find out more details about the new Samsung Galaxy S8 and Galaxy S8 Plus over at Samsung at the link below.